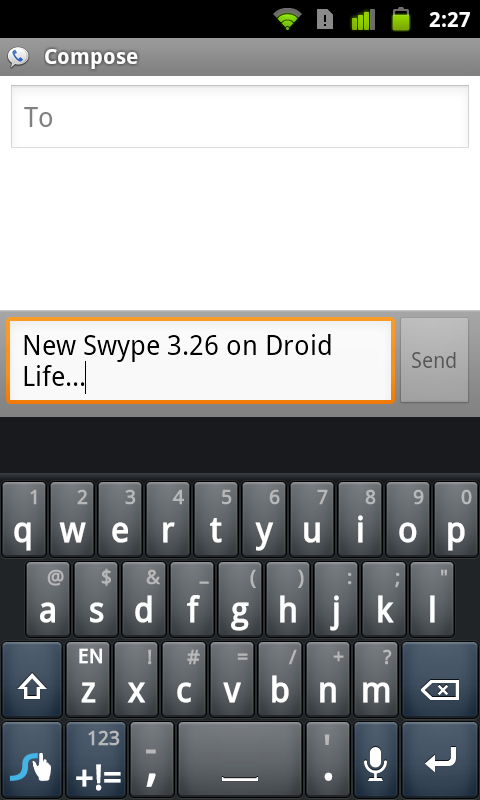 Swype is back in the building with 3.26, their latest build. What’s new? A lot of stuff actually. The most important thing though, is the fact that we no longer need to use their ridiculous installer app. Well, to clarify, you need to install this newest build with the newest installer and then from that point forward, will no longer need it. Automatic updates is what I’m trying to say! They also plan to introduce a new color scheme with an orange tracer and new black and orange word suggestions. There are rumors that it should be out soon as one of the first automatic updates. Automatic Updates have finally arrived! Once installed, this latest version of Swype will let you install updates on-the-fly via Swype Connect. Your user dictionary and settings will automatically be saved during the update! Improved Language Control gives you access to only the languages you use. From Swype Settings you can select which languages will appear when switching languages directly from Swype. Never cycle through a language you don’t use again. The Refined Key Layout brings a better overall user experience, more in line with what users expect. Numbers are now across the top row, and the symbols layer contains several new characters, and a button to switch between 2 pages of symbols. Redesigned Settings & Help makes it easier than ever to control how Swype behaves, and learn how to become an advanced Swype user. 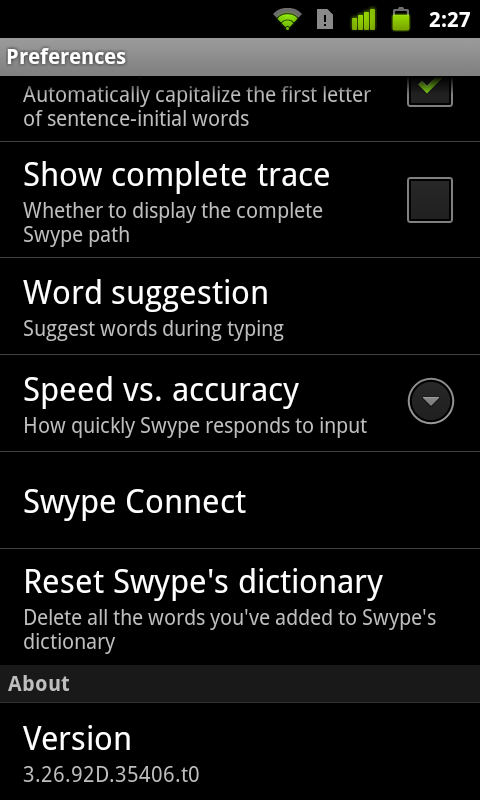 Just long-press to go straight to the Swype Settings window! Full details on these changes can be found here. Download from here. *Note – Their servers may be struggling, so just keep checking back. A Few Ice Cream Sandwich Features Not Mentioned in Last Night's Event, Anyone Interested in Bloatware Disabling?